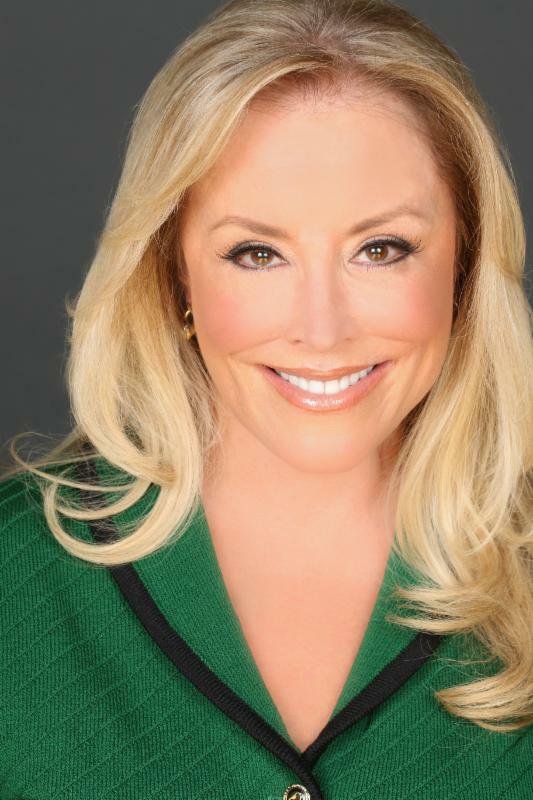 I am pleased to announce that I will have the distinct honor to help mark the grand opening of the Museum of the Bible in Washington, D.C. by joining with women who are championing a culture of truth, family and freedom from Mom’s March For America. 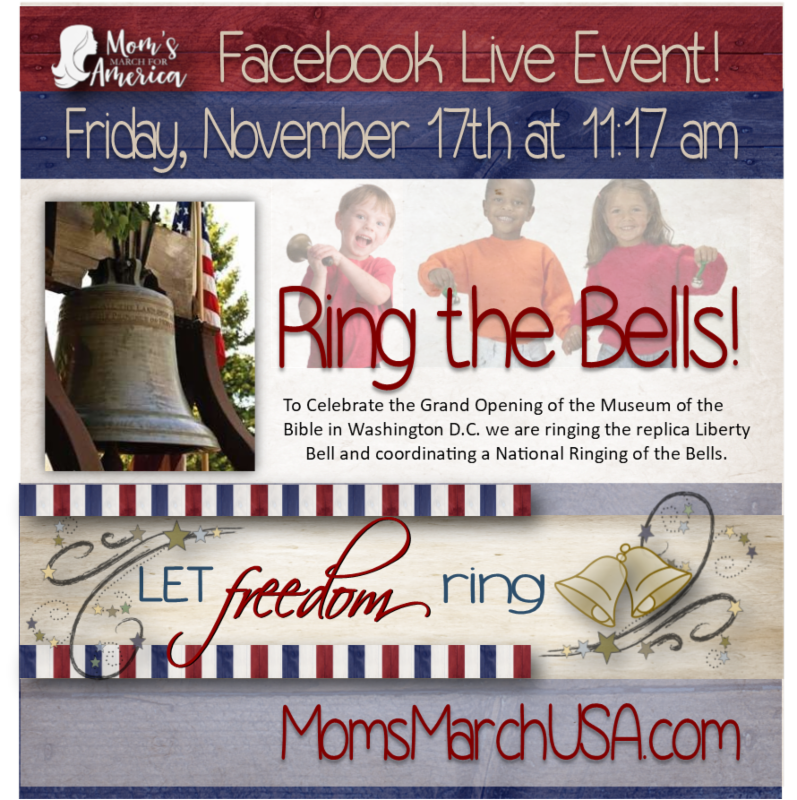 ?On Nov. 17th at 11:17 am, we will participate in a historic opportunity and ring the museum’s 3,200 pound exact replica of the Liberty Bell, launching a ringing of bells as churches throughout Washington D.C. and across the nation ring their bells to share the message “Let Freedom Ring!” During this time, mothers and Americans all over the country will be tuning in to the Facebook Live event and ringing bells with their children. I will join Candy Carson (wife of Dr. Ben Carson), Martha Boneta (President, Freedom Network America) and Francoise Djoukeng (representing HomeMakers for America) who will host the Live Stream event. The live stream will begin at 10:45 am EST leading up to the ringing of the bell at 11:17 AM EST. I had the pleasure of joining these women in September during the national gathering of the Mom’s March for America in Omaha, Nebraska, as we joined together for the sake of our nation, our families and our liberties. I applaud Kimberly Fletcher and the Home Makers of America for putting this special event together and inviting me to be a part of it. It is truly an honor. Finally, won't you and your family join me by participating during this special occasion for our country? I've provided information below letting know you how you can ring the Freedom Bell right along with us! There are three simple, yet profound, ways you can be a part of this historic event. 2. Purchase some bells at Hobby Lobby, Walmart or other store for you and your children and ring your bells together at the appointed time. If your children are in school during the live event you can still be a part of it by watching the live stream video on the Mom’s March Facebook page with them when they get home from school and ring your bells together. The Bible is the root of freedom and families are the wellspring! Together, one child’s heart at a time, one home and family at a time we will heal our nation—from the inside out. LET’S CREATE A MIGHTY MOVEMENT! Facebook Live your ringing of the bells and let’s flood Facebook with thousands of families joining the celebration as we honor God and family and Let Freedom Ring!